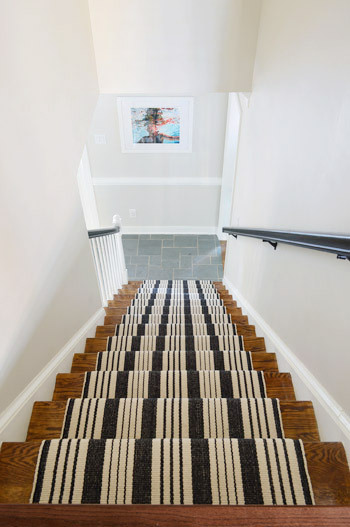 517 creations: The Project House...The Entry, Stairs, and Master Bedroom. The Project House...The Entry, Stairs, and Master Bedroom. You'll have to forgive these meh pictures of the house that were taken with my iPhone. I haven't dared bring my camera to the house in fear that it would actually touch something in the house. I snapped all of these pictures FAST so I could get out of the dirty, smelly house. Ya'll, it's not dirty and smell anymore. I can't wait to show you some during pictures next week! 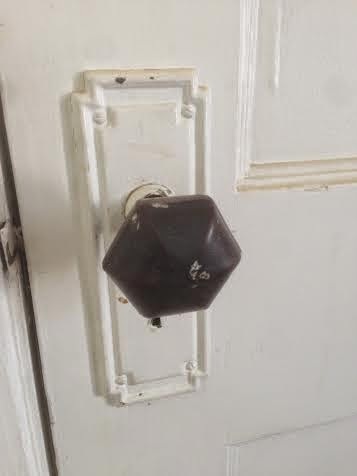 You walk through the original door and end up in a little entry way. 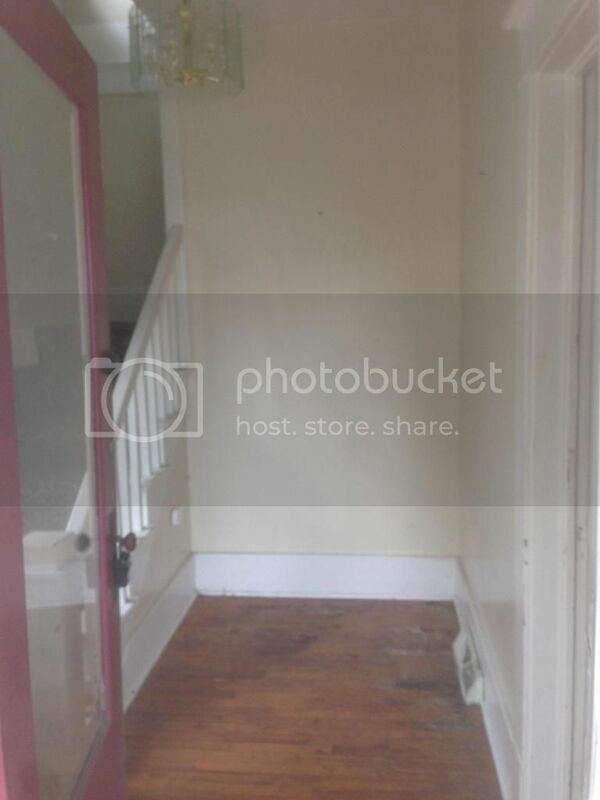 You can see the terrible condition of the floors but I love this little entry area. I can picture a coat rack with a little table as a drop zone, a nice hutch or display piece, or a sweet chair and table like this entry from the cottage that this blogger is remodeling. The entry has already come a LONG way...but you'll have to wait until next week to see that. To the left of the entry are the stairs that lead to 2 bedrooms, a sweet den or bonus room, and a bathroom. The Project House gets so much natural light from all of these original windows that are placed everywhere in the house. It's hard to get a good picture of the stairs because of the size of the landing at the bottom. 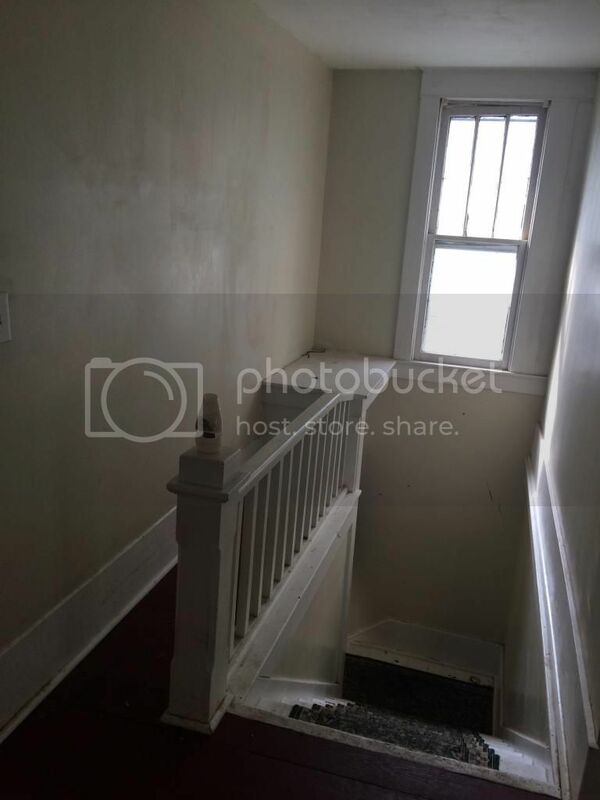 And quite honestly, you don't want to see a good "before" picture of the stairs. They were gross, gross, beyond gross. Here is a picture taken from the top of the steps with another awesome window letting in amazing natural light. I love the railing and all of the details that went into constructing this house almost 100 years ago. The stairs were originally dark-stained wood, which we found after we pulled up the dirty, DIRTY, dusty, DUSTY carpet runner. 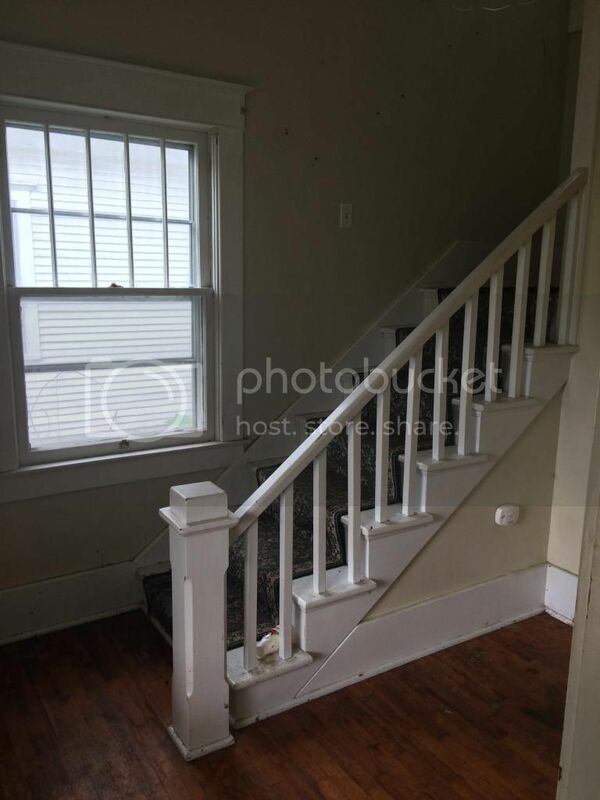 We were originally going to have the stairs painted white, like the trim, and leave them carpet less. However, the stair treads are in terrible shape because of the amount of glue that was used to adhere the runner. 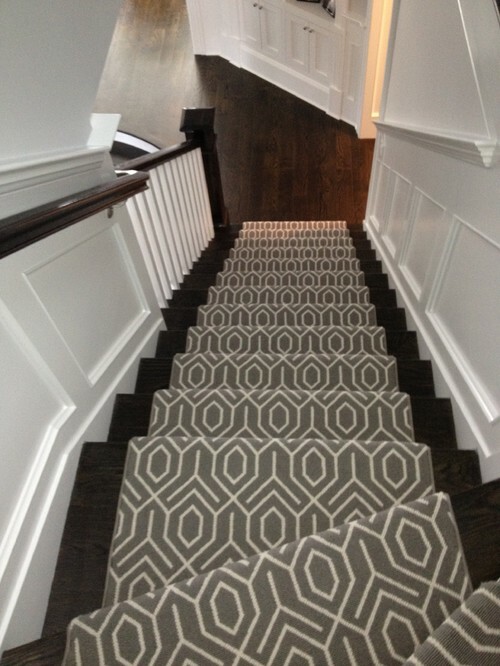 We decided to have the stairs painted and will be adding another runner, which I am on the lookout for now! 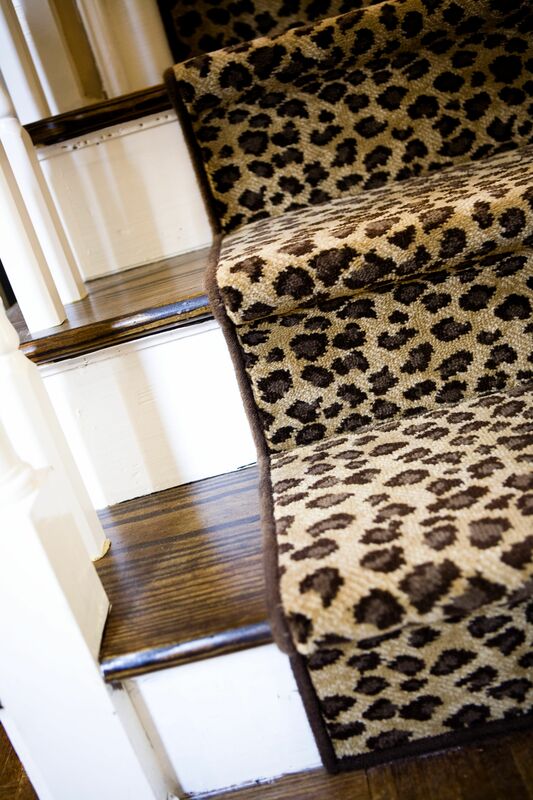 Or an animal print runner...I love the unexpected, but neutral, look of cheetah. But, since we're not moving into The Project House I will go with something more neutral and classic. 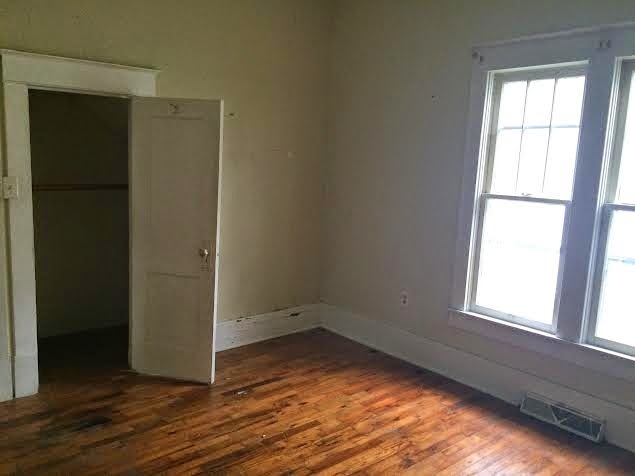 The last room on the first floor is the master bedroom, which is just through the living room and is a good size for an old Craftsman style house. 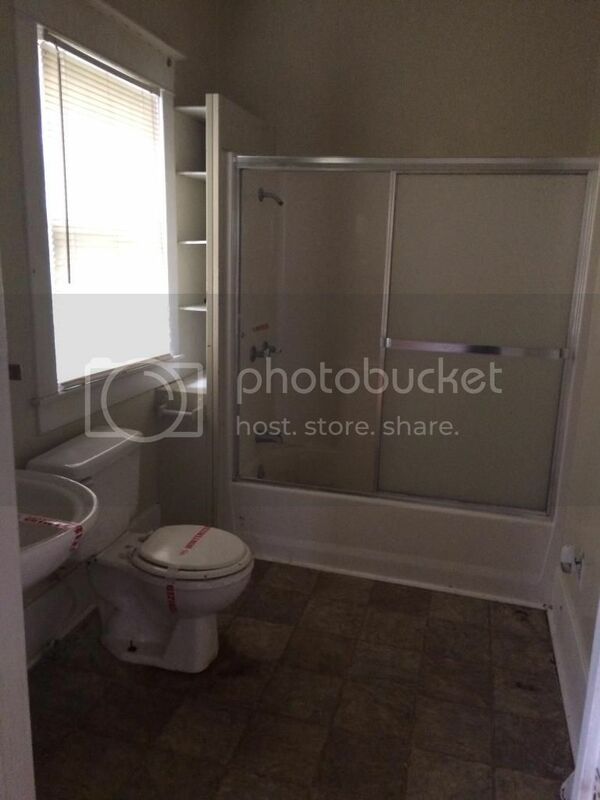 It has it's own bathroom and sweet closet tucked under the stairs. 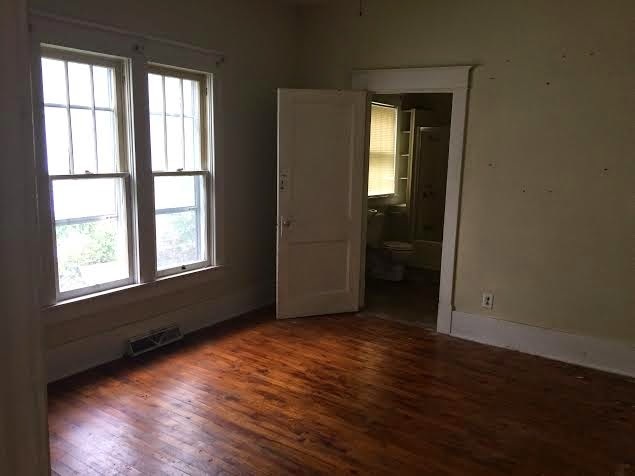 More unbelievable natural light, original trim and doors. 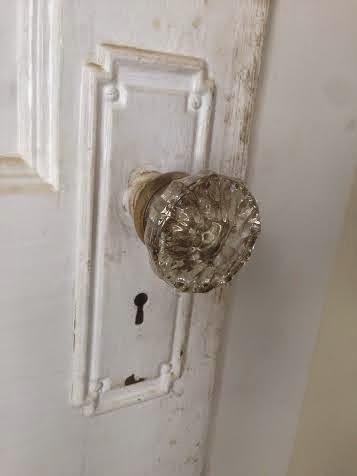 The doors have original door knobs and key holes in them...amazing! The bathroom will get a SERIOUS cleaning and the glass shower doors will be removed. After a fresh coat of paint on the trim and walls as well as new tile floors, this bathroom will be gorgeous. Did you notice another amazing original window in there? Tomorrow's post will give you a peak of the upstairs of The Project House. Those will be all of the before pictures! Yay!